Sometimes when things end, we miss what should have been more than we miss what was. We miss the soft, quiet things murmured in the dark, not the sharp edges of things said in the bright light of day. Sometimes when things end, what we miss the most is what we wanted that thing to be. 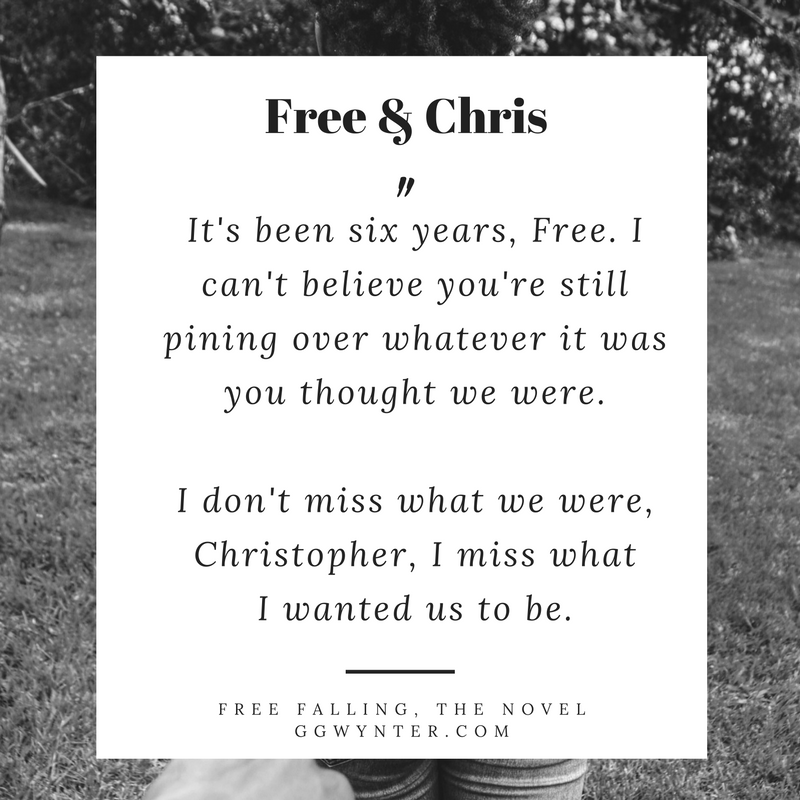 This quote is excerpted from my first novel, Free Falling, a multicultural, small town, second chance romance.